Social business intelligence uses effective enterprise tools such as marketing automation and CRM for the purpose of making collaborative and strategic business decisions. The model helps to interpret the data generated from different social networks. On an aggregate basis, social media networks usually generate heavy volume of data from a variety of sources and create a gap of understanding regarding its use for an organization’s future benefits. This report is precisely created to give insights into how business intelligence bridges this gap and converts essential unstructured data into viable options in order to help organizations take informed decisions in the future. Analysts of this study forecast that the global social business intelligence market is expected to rise at a tremendous CAGR of 33.79% over the period 2014-2019. 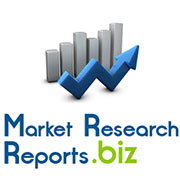 Some of the major features covered in this report are: Definition of this industry with extensive, illustrative instances, key geographical regions involved in this market, present scenario, and the growth prospects of the social BI market for the forecast period 2015-2019. The report discusses the manner in which social media has become a major business tool across different industry platforms – helping organizations create and maintain their brand image and prominence to their global customers. Providing a wide range of services, feedback, and communication, the social business intelligence market helps to understand the behavioral aspects of customers in terms of demands and business needs. The study also contains a detailed list of market drivers, challenges, and trends boosting or hampering the growth of the social business intelligence market. The emergence of social media and an increasing volume of information generated from social networks are perhaps the largest revenue generators of this market, balanced against high implementation cost that is expected to impede growth of this market over the next four years. The report enlightens readers with numerous vendors operating in this market. Through the vendor landscape viewpoint, the four major players in this market are Oracle Corp., SAS Institute, Inc., IBM Corp., and SAP AG. Other prominent vendors include Adobe Systems, Attensity Group, Visible Technologies, Clarabridge, Beevolve, Crimson Hexagon, HP, NetBase Solutions, Radian6/Salesforce, Kapow Software/ Kofax, Evolve24, Google, Lithium Technologies, and Sysomos. The study concludes with a geographical segmentation of the social BI market for 2014 and provides segmentation based on applications and end users as well. Marketresearchreports.biz is the most comprehensive collection of market research reports, supporting clients’ market intelligence needs with over 100,000 market research reports, company profiles, data books, and regional market profits in its repository. We also offer consulting support for custom market research needs.